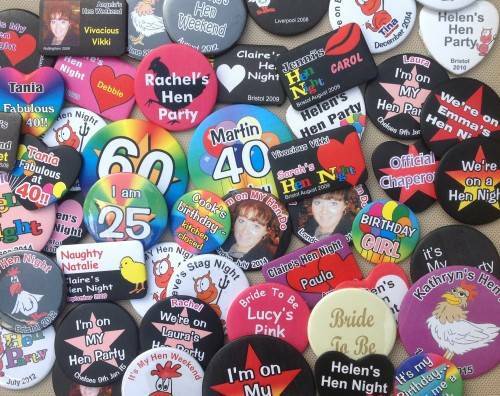 Hen Party Wear - Personalised for you - My Party Wear! 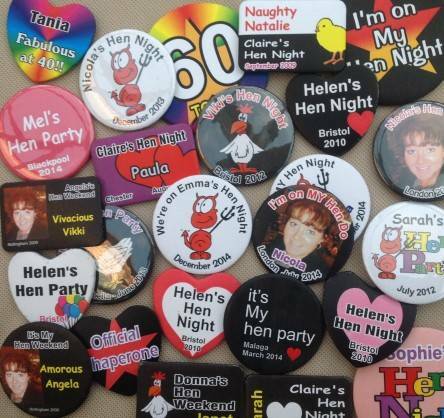 We have been in the personalised hen party wear market since the late 90s and have gradually built up our range of products to offer a comprehensive range that can be personalised for a hen party, stag night, birthday party, special event or occasion. 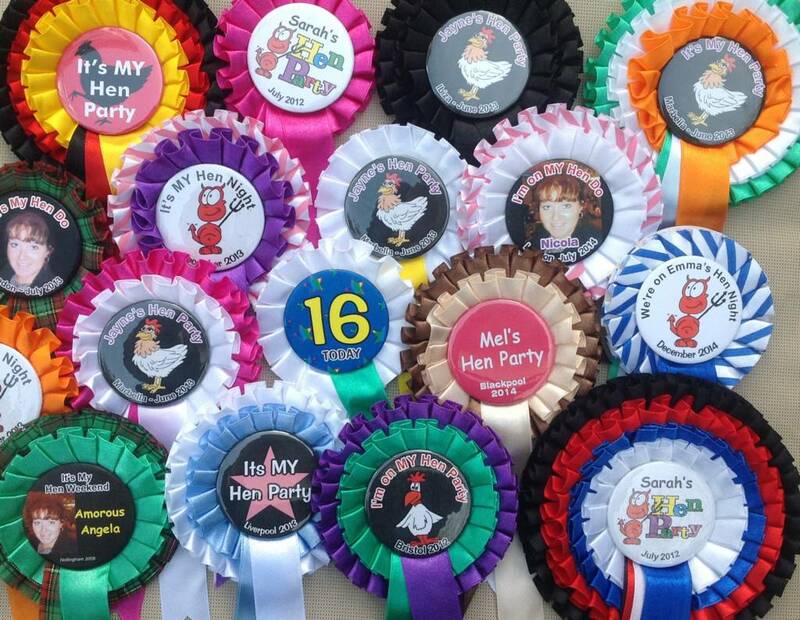 We produce all our badges, rosettes, sashes and ribbon products in house, so you can be assured of good quality, attention to details, personal service and of course the ability to be able to juggle our production to cater for you if you have a rush order. We normally have orders ready for posting within 24 hours. UK orders are then usually sent out buy First Class post and overseas orders by Standard Airmail. We normally try to be available for phone calls and emails in the early part of the evening and also during the weekend. If your order is urgent or if you wish to discuss some aspect of the order before you finally place it, then just give us a call or drop us an email. We always look forward to helping you..
Because we manufacture our badges, rosettes, sashes and ribbon products in house, we can usually accommodate last minute requests for new orders or additional items for the last minute guest. Please bear in mind though that if you leave it until literally minutes before our cut off time, then we can't produce really big orders in this short time period. If you literally 'on the minutes' then call us and we can advise what options might still be available. If the photo needs cropping or something or someone needs removing, just tell us who/what needs to go and who/what needs to stay. If it is an old photo in hard copy and you don't have a scanner , then just post it to us and we will scan it and return the original with the order. It's a very obvious statement, but unfortunately necessary. Please ensure you have permission to use the photograph. Don't send us images downloaded from the internet. Also please ensure it is a good quality photograph and that heads are not chopped off. If you send a poor photo or incomplete image then there is a limit to what we can do with it, which could result in the order being cancelled. 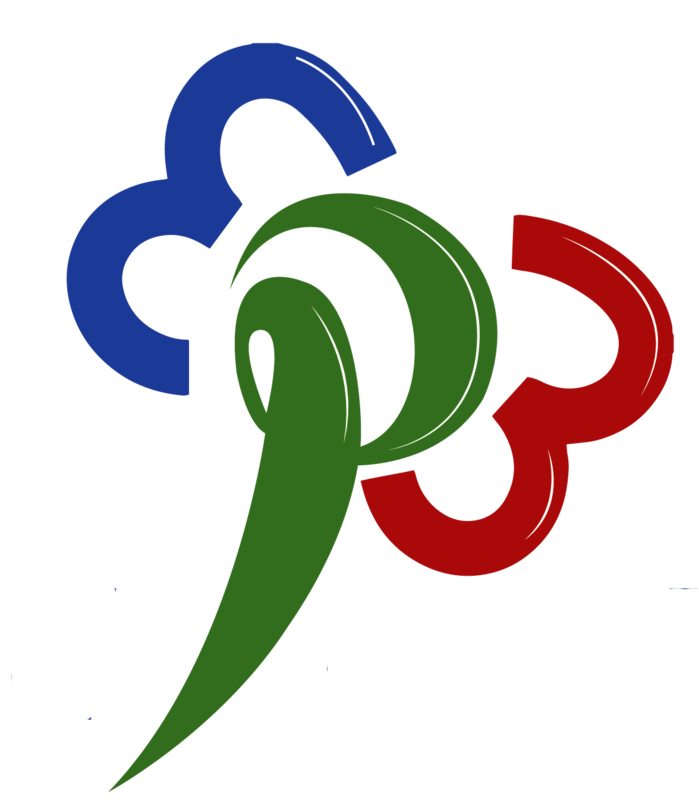 Have a look at our main web site, which is here. 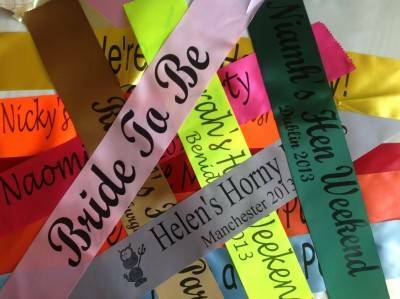 Choose customised badges, or you own colour combination for your personalised rosettes, select ribbon colours for sashes. 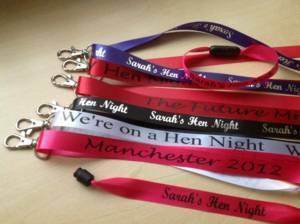 Ribbon Wristbands and Lanyards take a little longer to prepare (and could take an extra 24 hours) . 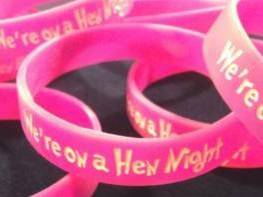 Our silicone wristbands take up to 2 weeks to produce due to the manufacturing process. If you have any concerns about the order being delivered in time then please contact before placing the order so that we can discuss and advise.